My overloaded FL has been giving me the blues about the time I spent on my own in SL. This picture, celebrating Zaara‘s sales, should have been shot about five days ago at least, lol. I first got acquainted with Total Betty during one of these last hunts. I recall I had a hard time finding the store (not the main store, obviously, just one of their 13 affiliates), not really the egg I was looking for, lol. Recently I learnt about some new releases through the FashCon group, and a particular joyful set with shorts caught my eye. Today, I headed to their mainstore, only to be totally conquered by the lay-out of the store, the quality and variety of their designs and even the kindness of her staff. A particular thank you to model Bree Mirajkar for making me feel very welcome and for the chit chat. Hope you have a grand return to SL, girl ! Gemma was the outfit I was telling you about, the one that drew my attention and actually made me visit the store. It can be found in other three colours and is perfect to hang around in a leasure day, feeling comfy yet elegant at the same time. Easily spotted, this is totally a summer(ish) choice ! At that point, my wallet started to resist, lol. I took a mental note to come back soon (even because the clothes are pretty much affordable so it is not that hard to become a regular customer) and slowly moved to the exit. However, I could not go out before taking this Delia mini-dress along as well, its dark green warm colour seemed to be calling my name out loud and in fact it prooved to be a right choice, for I wore it all through the day – with my personal body guard following close, obviously. Besides the outfits, which most of all seduce us through their amazinly detailed texture and care of composition, there is a whole lot of accessories to be found at Total Betty. 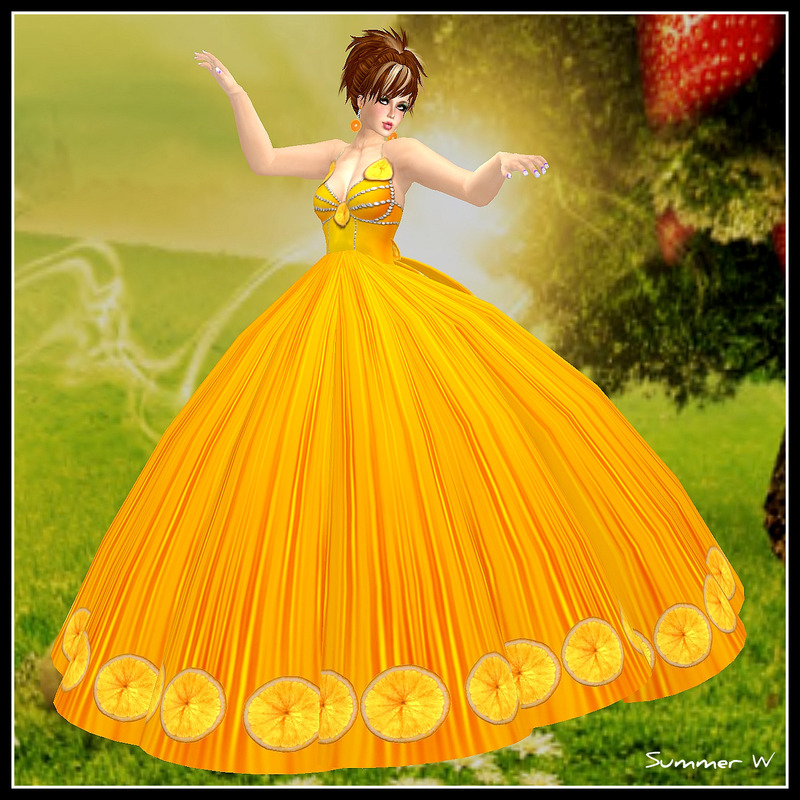 Styles vary from daily funny outfits to lovely formal gowns, set in a modern atmosphere that qualifies this store in a very special position, at the same level though apart from the elegant though cold top stores in-world. Akaya GossipGirl and Redsoledrea GossipGirl, the two talended ladies in charge are totally to be congratulated on their nice work and taste! After loosing twice the path I was selecting in Gimp, I became lazy. True, my skills in photo editing are nothing special and I do prefer to take advantage of spots and light in-world. One time or another I do enjoy cutting and pasting and stamping and correcting light creating backgrounds, etc. If you are trying to guess – no, I didn’t use an alt, though the idea as crossed my mind previously. I did some accountability, however, and concluded it would not be cheap to have two accounts buying hairs, clothes and skins so I quit on that as well. I can assure you no double loging was involved in this as well.